With information on the thaw, snow depths on Bald Mountain Pass, Opening of key roads, and Passes, etc. UPDATE July 5th: COMING….VERY SOON (1 day or less)…. THANKS TO MANY OF YOU…I LOVE YOU ALL! I’ll get it done today and show you some BEAUTIFUL FACES & a few magnificent VISIONS OF NATURE! The road to the Grandview Trail Head will remain closed through the rest of June and possibly early July due to the ongoing timber sale. I have a ranger that is checking on the trail that leads from Rock Creek (trail 073 junctions with 078/076) to the Granddaddy Basin as a backup route, I should know more by the end of this week. And as general information, anyone hiking the trails in the Wilderness can expect trees across the trails, extremely high river crossings (they should not be attempted to cross) and above 10,000 ft. large and deep snow drifts. 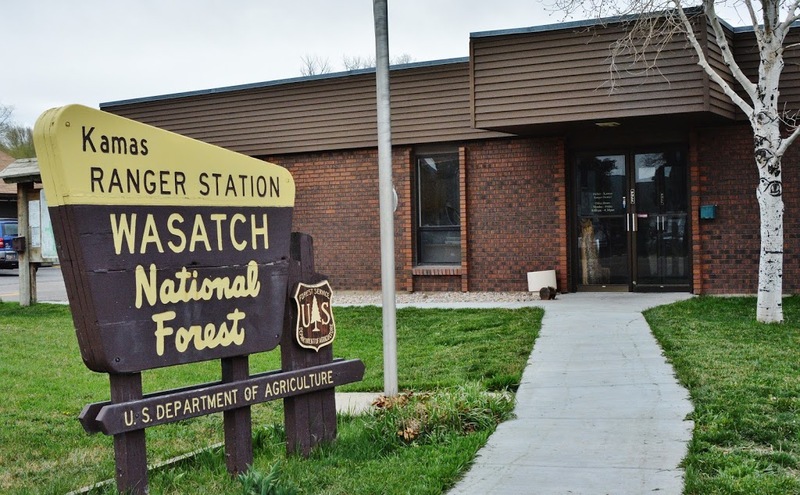 If anyone needs further information they can contact the Duchesne Ranger District at 435-738-2482 and we can provide them with the latest information. THE GRANDVIEW TRAILHEAD: At the earliest it will be open to the public by the end of next week, or let’s say, Saturday, July 1st. LAKE FORK/MOON LAKE TRAILHEAD: the trail is open up into the Brown Duck Basin, Tworoose Pass, etc. UINTA RIVER TRAILHEAD: Apparently it is possible to get up to the Fox Lake area, etc. I don’t remember him mentioning the Atwood Trail. ROCK CREEK TRAILHEAD: Area not recommended yet as river crossings are high and dangerous. The “La Marla Lake Trail” up into the Grandaddy Basin is being checked out by a Wilderness Ranger. I will update when getting info. FOR MORE INFORMATION ABOUT SPECIFIC AREAS, CALL JEFF AT THE FS. 1. 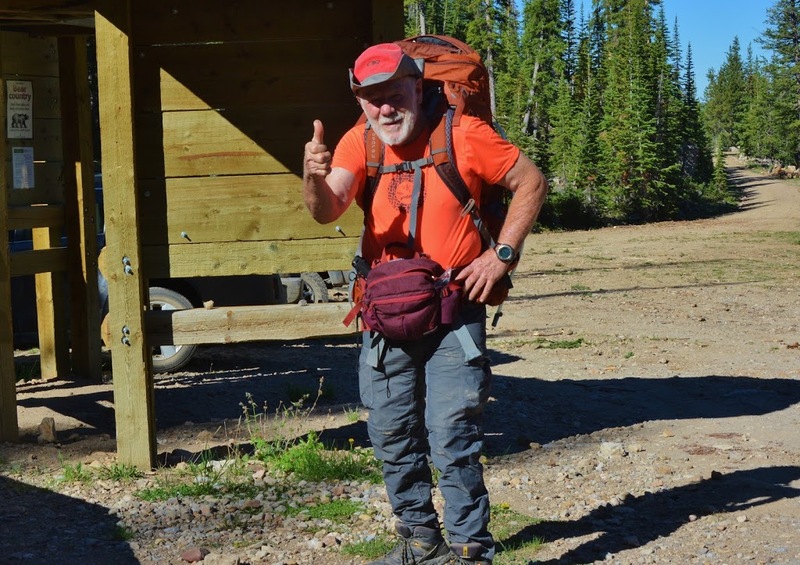 GRANDADDIES: down past Lost & Powell Lakes, to pick up two missed, RANGE & JEFF LAKES & if all goes well, swing up to Pine Island Lake, and back past Fish Hatchery, Betsy & Grandaddy Lakes: 30+ miles, 4 days. NOTE: Date depending on conditions in June, in other words, the thaw. 2. 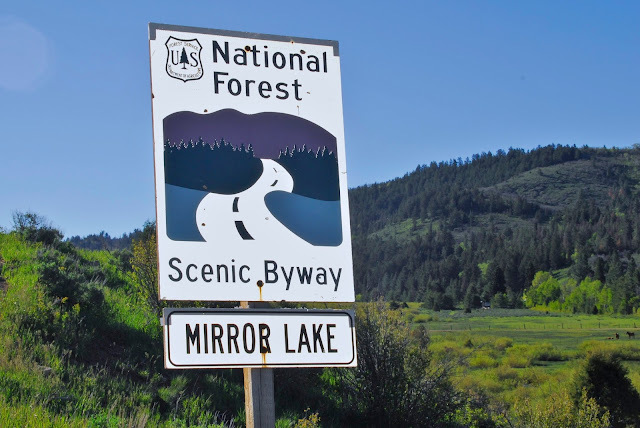 MIDDLE FORK BEAVER CREEK: Will explore Beaver, Coffin & other lakes, & will climb Thompson Pass, leaving 2 passes to go to achieve all 22 in the Wilderness. 30 miles 5 days. 3. FROM EAST FORK OF BLACKS FORK TRAILHEAD: To Little East Fork of Blacks Fork and UPPER ALPINE/ABOVE TIMBERLINE LAKES. 20 miles, 4 days. 4. TWOROOSE PASS (with which only North Pole Pass remains) from the Lake Fork Trailhead up to the Brown Duck Basin, Pass, & lakes. 35 miles, 6 days. All of this is in preparation for doing the entire HIGHLINE TRAIL, from near Flaming Gorge to Mirror Lake, in August. Just talked to Jeff at the Duchesne Ranger Station who reports that the gate is still locked and closed to backpackers/horsemen due to the timber sale, and won’t be open until approximately the end of the month–he will email me and let me know when open, and I’ll immediately report it here. In the meantime, get some exercise to be in shape, as I’m doing now in my 82nd year, with a daily mini-hike with backpack, today with 51 lbs. of load, & also boots that are 7 oz. each heavier than the ones I’ll use backpacking–once again helping my body be stronger than otherwise might be the case. NOTE: If you don’t think 7 oz. per step less is important, consider the following: In 10 miles it adds up to 8,750 lbs. less weight lifted with your legs! BALD MOUNTAIN PASS 10,759 ft.
Tuesday June 20 – 2″ – 65 degrees F.
Monday June 19 – 7″ WOW! – 60 degrees F.
Sunday June 18 – 12.5″ of snow – 56 degrees F.
Saturday June 17 – 16″ of snow – 50 degrees F.
Friday June 16 – 21″ of snow – 56 degrees F.
Thurs. June 15 – 24″ of snow = 56 degrees F.
Wed. June 14 – 26.6″ of snow – 50 degrees F.
Tuesday June 13 – 30″ of snow – 32 degrees F.
Monday June 12 – 28″ of snow – 38 degrees F.
Sunday June 11 – 29″ of snow – 50 degrees F.
Saturday June 10 – 31″ of snow – 60 degrees F.
Friday June 9 – 34″ of snow – 60 degrees F.
Thursday June 8 – 37.5″ of snow – 58 degrees F.
Wednesday June 7 – 41″ of snow – 60 degrees F.
Tuesday June 6 – 44″ of snow – 59 degrees F.
Monday, June 5 – 47″ of snow – 60 degrees F.
Sunday, June 4 – 50″ of snow – 60 degrees F.
..today, June 8th, up to 46 lbs. & experiencing some pain, so will up my intake of cod liver oil from 3 gel caps/daily, to 5 and see. Yesterday, Saturday morning, June 3rd, I gave my first report to KSL OUTDOOR’S RADIO. You can listen on your computer each Saturday morning from 6:10 to 8:00 AM from anywhere in the world. On the program my friend, Russ Smith, from SKYCALL SATELLITE assured me he now has me on the schedule for a satellite phone for the summer–which I recommend each group have one of, and if you’re going alone, you’ve got to have one along with a SPOT Personal Satellite Tracker. Get one! My first stop was at the KAMAS FOREST SERVICE RANGER STATION to talk to my old friend Brenda, who told me that last night the road clearing crew “broke through” the last drifts, so the HIGHWAY IS NOW OPEN! If you know me, you’ll expect me to take you with me, with a few views along the highway on the 80 mile round trip from Kamas with little comment. Below is a view of the Falls on June 4, 2016, shown with the shadows of the afternoon. Below is a view of the Pass and Bald Mountain on June 4, 2016, with visibly less snow than this year. Here we are seeing the weather station operated by UDOT (Utah Department of Transportation) from which I acquire daily information on the snow depth and temperature. From the pass we continue to the northeast seeing the snow depths. Shortly there is a turnoff…of course now snowed in, from which we see below Moosehorn Lake, still frozen over, and in the distance Hayden Peak. Above is a photograph of Hayden Peak on June 4, 2016, I show to indicate again there was much less snow last year. From this point we swing our view to the south looking towards the Grandaddy Basin area, still with a great deal of snow. We are here approaching Hayden Pass, and find all the snow removal equipment parked at the pull-offs for Butterfly Lake, which was still frozen. zoom in on the sign you see below. Below we see the sign on June 4, 2016…..so it will be likely at least until the end of June that there will be access…..of course depending on the thaw. We have turned around and heading back, seeing the sign to the Highline Trail, on the west side of the highway. We are now over the pass and heading back to Kamas, seeing on the north side of the highway Lilly Lake showing the beginning of the thaw, and below on the other side of the highway, Lost lake. Below is Lost Lake on June 4, 2016. This was my first 2016 Season backpack, and my schedule has me doing my first 2017 backpack from this trailhead too. What is the access to the Grandview Trailhead…NOW? I just talked to Sheila at the Forest Service Ranger Station in Duchesne. She reports one of the rangers snow-shoed in there a couple of weeks ago, and was amazed how much snow there is. THE PLAN: They hope to have the road open in about two weeks, but for a couple of weeks it will be used for a timber sale. It will likely be in about 1 month–THAT WILL GIVE ME TIME TO KEEP WORKING ON GETTING IN SHAPE AFTER MY BACK SURGERY–NOW HIKING EVERY DAY WITH MY BACKPACK–THIS WEEK WITH 43 lbs. NEXT WEEK=46; THE FOLLOWING=48; BY BACKPACKING TIME=50 lbs……although I don’t plan on backpacking with that much weight, except for the 136 miles on the Highline Trail in August. I will keep in touch with Sheila, and keep all of you informed about access, along with any other access information I can glean from other areas. Just talked to Jeff at the Duchesne Ranger Station who reports that they have heavy equipment clearing the road of snow with about 1-1/2 feet of snow at the Trailhead, but the road will only be accessible for a timber sale, and not for backpackers for “2-3 weeks,” which would mean between June 27th to July 4th. He asked me to call back for updates in a week….at which time I will give an UPDATE here. In the meantime, get some exercise to be in shape, as I’m doing now in my 82nd year, with a daily mini-hike with backpack, today with 48 lbs. of load.